Excellent for traveling from coast to coast or traveling the world. 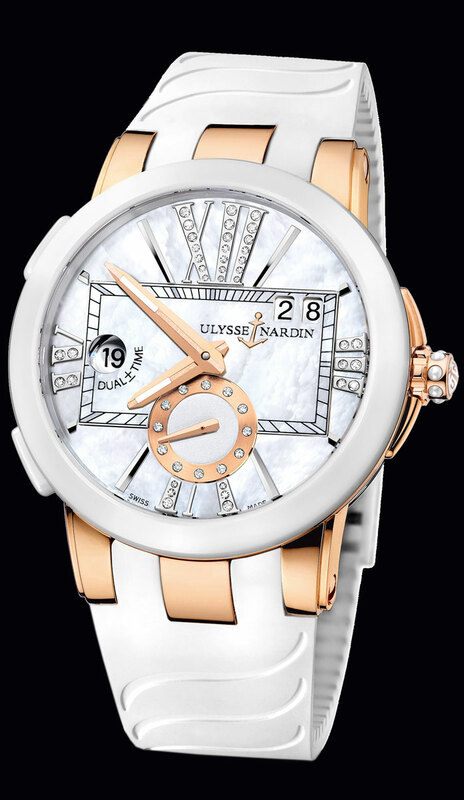 It is 18K rose gold, white ceramic bezel, 40mm, automatic, date, with quick set dual time function, mother pearl dial with diamonds. Two time zones are displayed at all times which allow you to keep track of local and home time. It features a glass back exhibition case back,with a 22k rose gold rotor. 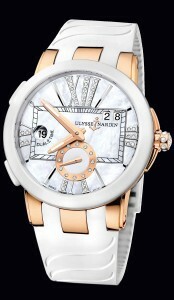 Available on a white elegant rubber strap with an 18K rose gold buckle.